These two indigo prints, often referred to as West Virgina Calico, are from the Stifel Calicoworks in my hometown of Wheeling, WV. 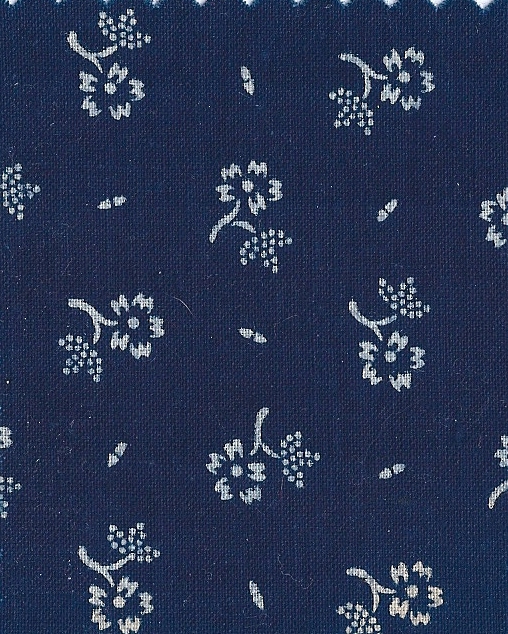 The mill operated from 1835 until 1957 producing not only these classic indigo prints but also various weights of indigo dyed drills and twills. The plant shifted to war production during both WWI and WW II. 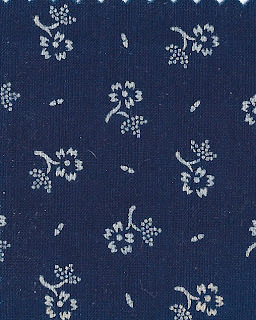 By the late 1940s, the emphasis was on the new Sanforized process in 'sportswear' fabrics and the dyeing and printing of indigo was discontinued. 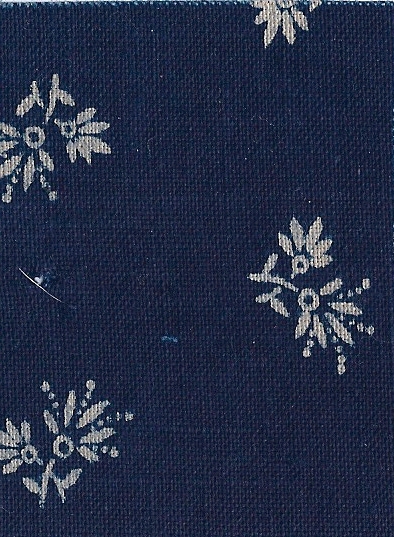 These two examples of Indigo prints are from the Amana Mills in Amana Iowa. The Amana Colonies, located in the south east corner of Iowa, were a communal society until 1932, producing everything they needed...food stuffs, furniture and fabrics. They had a print mill doing indigo dyed and printed fabrics until WW I. Afterwards they purchased fabrics from Stifel Calcioworks in Wheeling. In my class, Apparel and Textiles, at Montana State University, I did a brief history of indigo production, dyeing and printing. The discussion turned to today's use of indigo ( synthetic indigo was discovered in 1897, today's jeans are dyed with synthetic dyestuffs)...mainly blue jeans. 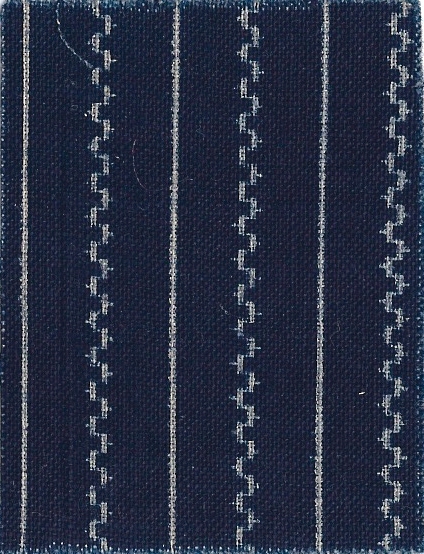 Globally there are over 2.5 billion yards of indigo dyed denim produced annually. Sales of jeans in the US are a 450 million dollar market. The fact I found most amazing in preparing my lecture was it take 6,800 litres of water to make a pair of jeans! Wow, that's a lot of water for jeans. It's a good reason to hang onto them for a long time. 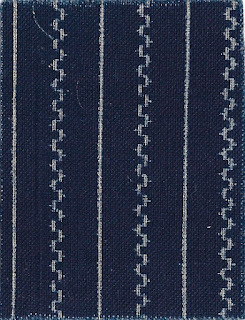 I love indigo fabrics. There seems to be a dearth of the reproductions right now. Or, am I missing a source? 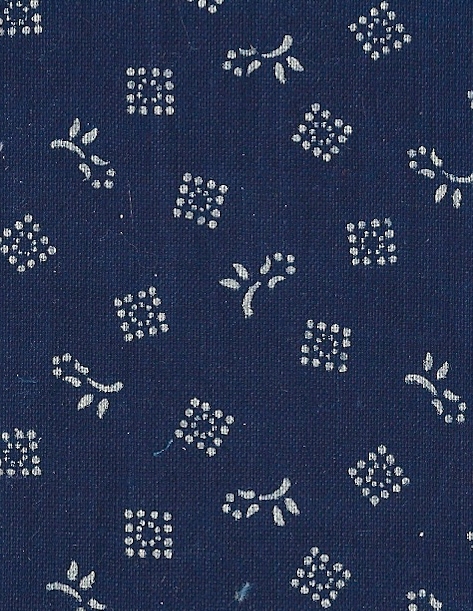 I love indigo quilting fabrics. 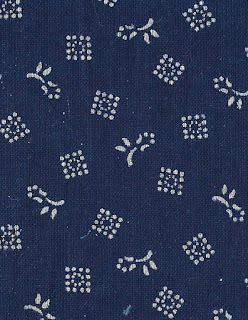 I don't think I have seen an all indigo style print line....but am finding bits and pieces within lines.